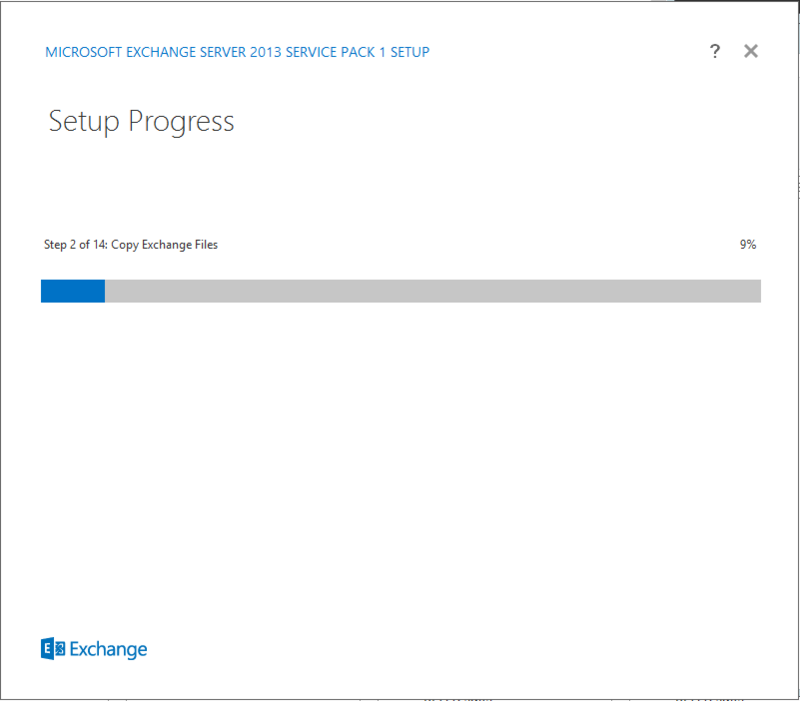 As usual every time you try to install a new version of Exchange Server there are new caveats and what you expect will take 30 minutes takes longer. This time around was no exception. I am still hoping the day will come the installer decides it is going to do what it takes to do everything automatically instead of giving you a list of errors of dependencies you are supposed to install on your own. 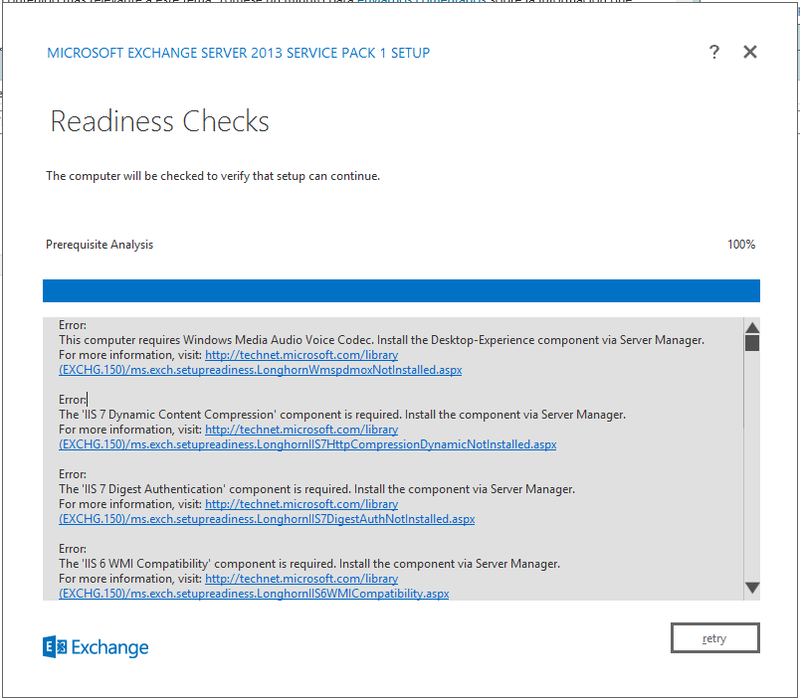 Though there are good news with Exchange 2013 SP1: The Edge Transport Server is back! Surely lots of people out there are very excited about this; Fortunately for me I don’t care anymore. We are moving our entire infrastructure to the cloud as maintaining a server for just a few users is not worth the time and effort. Regardless we needed to deploy a server OnPremise to modify our hybrid configuration so we are including those details here. Fear not, most of them can easily go away with the simple execution of a Powershell command. I used to go line by line clicking on each link figuring out what I needed to do… really a huge waste of time. \Data\PostExchange2003_schema0.ldf’. The error code is: 8224. More details can be found in the error file: ‘C:\Users\UserNAme\AppData\Local\Temp\ldif.err'”. [03/19/2014 04:54:16.0946]  Running <C:\Windows\system32\ldifde.exe> with arguments <-i -s “DC01.CloudIngenium.com” -f “C:\Windows\Temp\ExchangeSetup\Setup\Data\PostExchange2003_schema0.ldf” -j “C:\Users\UserName\AppData\Local\Temp” -c “<SchemaContainerDN>” “CN=Schema,CN=Configuration,DC=”>. [03/19/2014 04:54:17.0087]  Process C:\Windows\system32\ldifde.exe finished with exit code 8224. ” was run: “There was an error while running ‘ldifde.exe’ to import the schema file ‘C:\Windows\Temp\ExchangeSetup\Setup\Data\PostExchange2003_schema0.ldf’. The error code is: 8224. More details can be found in the error file: ‘C:\Users\\AppData\Local\Temp\ldif.err'”. [03/19/2014 04:54:17.0384]  Setup is stopping now because of one or more critical errors. [03/19/2014 04:54:17.0384]  Finished executing component tasks. [03/19/2014 04:54:17.0431]  The Exchange Server setup operation didn’t complete. More details can be found in ExchangeSetup.log located in the <SystemDrive>:\ExchangeSetupLogs folder. Install the Remote Tools Administration Pack. 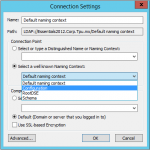 On a Windows Server 2012 R2 or Windows Server 2012 computer, run the following command. On a Windows Server 2008 R2 SP1 computer, run the following command. You need to install those tools on the machine were you will be performing the AD schema update / preparation. You will be indicated to restart your server after this. Do so to continue. After you’ve installed the operating system roles and features, install Microsoft Unified Communications Managed API 4.0, Core Runtime 64-bit. This computer requires the Microsoft Unified Communications Managed API 4.0, Core Runtime 64-bit. Please install the software from http://go.microsoft.com/fwlink/?LinkId=260990.